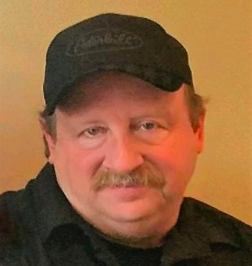 Jody LaRoy Arthur passed away at his home in Creswell, OR on May 5, 2018. He was 56. Jody was born on January 2nd, 1962 to Miles & Sharyl Arthur in Albany, OR. He attended school in Lebanon, OR. Jody joined the U.S. Army in 1980 & spent time in Korea & Germany. Jody had many hobbies, including RC Trucks, working on old cars, camping, fishing & riding horses. He also enjoyed spending time with his family & friends – He adored his grandchildren. Jody is survived by his wife, Sue Arthur, his brother & sister-in-law, Ed & Sabine Arthur, his daughter & son-in-law, Ashley & Cody Welch, his step-children, Ryan Graeber & Brittany Hall, his 5 grandchildren, Kyla, Ayden, Michael, Peyton, & Cindy, & numerous nieces & nephews. He was preceded in death by his Mother & Father. A Celebration of Life will be held on Saturday, June 2nd at 2:00 p.m. at Hope Church/Assembly of God in Albany, OR. Refreshments will be served following the service in the Fellowship Hall. Saturday, June 2nd at 2:00 p.m.
Hope Church/Assembly of God in Albany, OR. I wanted to express my heartfelt condolences to all of Jody’s family. For right now, there’s no detour around grief, no shortcut through mourning. However, 2 Cor.4:7 says that God can give us, “… power beyond what is normal “, to go from one day to the next. This does not mean that we no longer cry or that we forget. It means we recover. We recover because of our hope. Jesus Christ talked about our hope in John 5:28 which says, “…all those in the memorial tomb will hear his voice and come out “. Jesus was referring to the resurrection. That is our amazing hope! The Bible likens our hope to an anchor. Just like an anchor stabilizes a ship, our hope stabilizes us and keeps us from drowning in overwhelming sadness. The Bible describes our Creator as, “… the God of all comfort “. One way that God comforts us is by moving people who care about us to give us words of encouragement that we need to hear. May the God of comfort be your comfort now, during this time of sorrow. For the Bible’s answers to life’s big questions please visit JW.org.